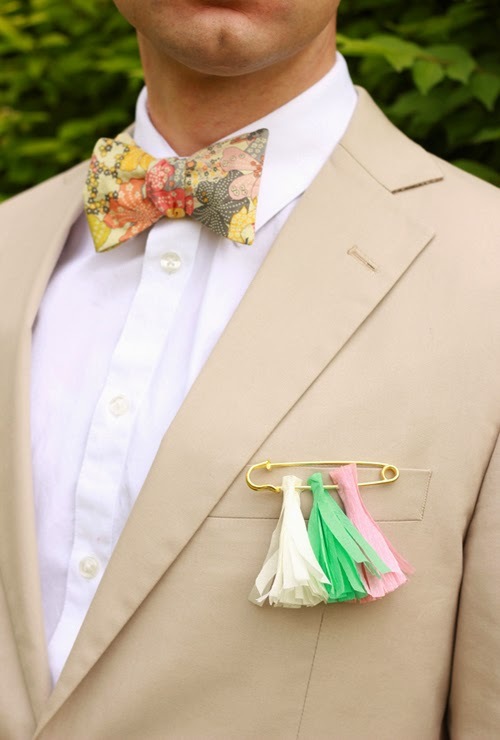 Tassels can pretty much adorn anything. 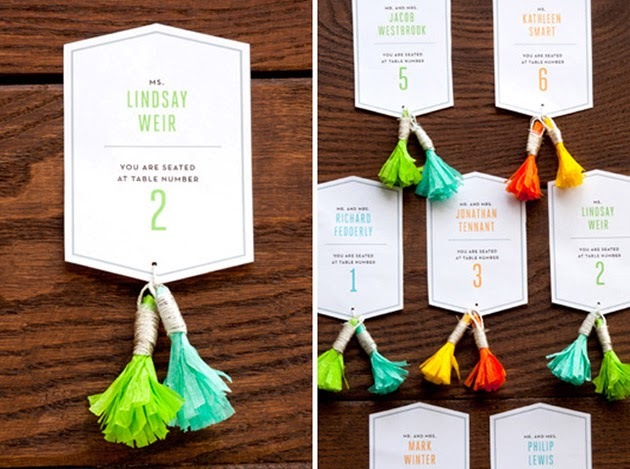 Curtains, bookmarks, the ceiling of cars (awesome!) 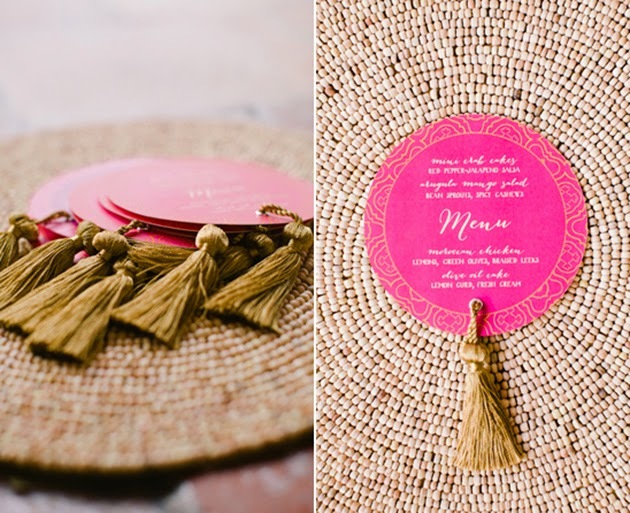 have all seen a little tassel action at some point in time, but none pull off this festive adornment like weddings. 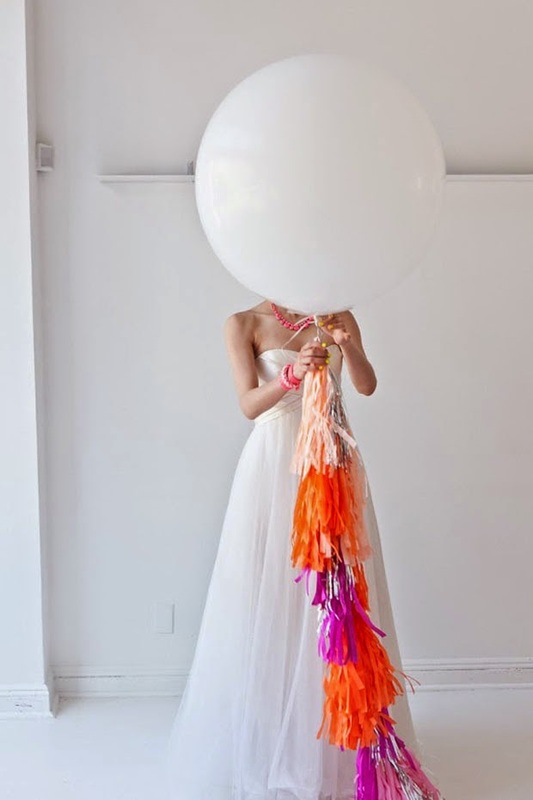 I love this wedding trend , it adds instant happiness and can go anywhere! 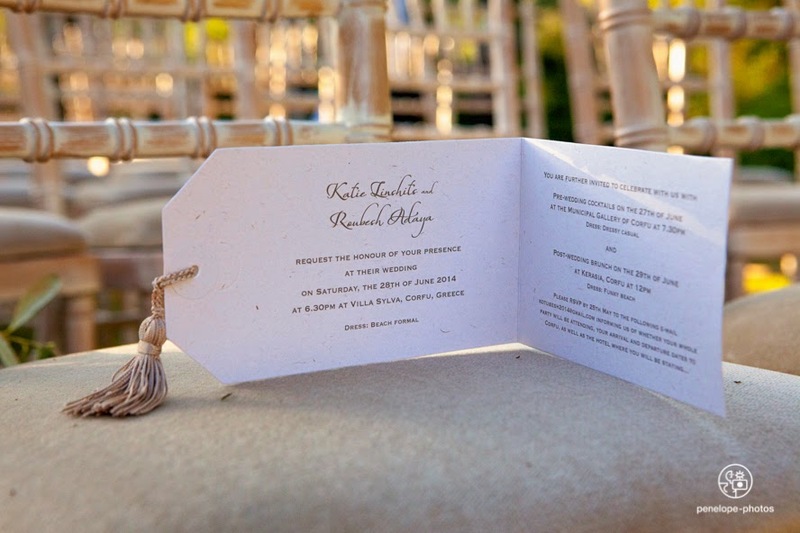 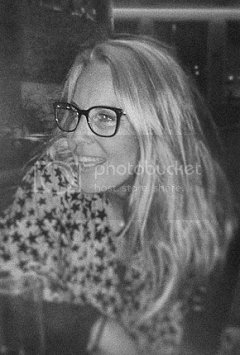 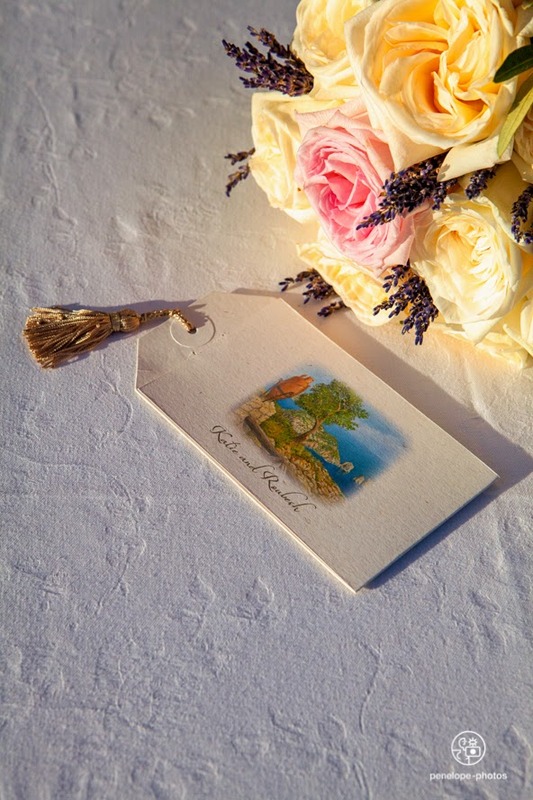 That's why we used them for our wedding invitation in Corfu ! 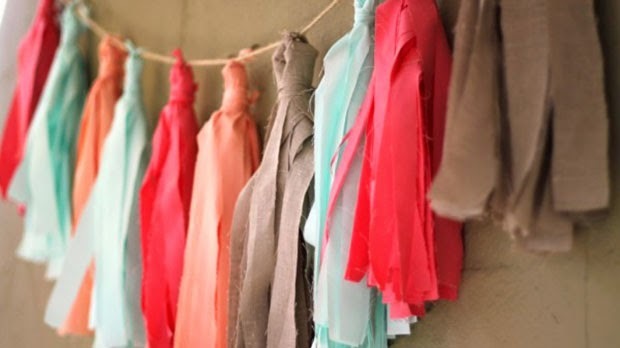 we will give you more tips to add tassels everywhere .. 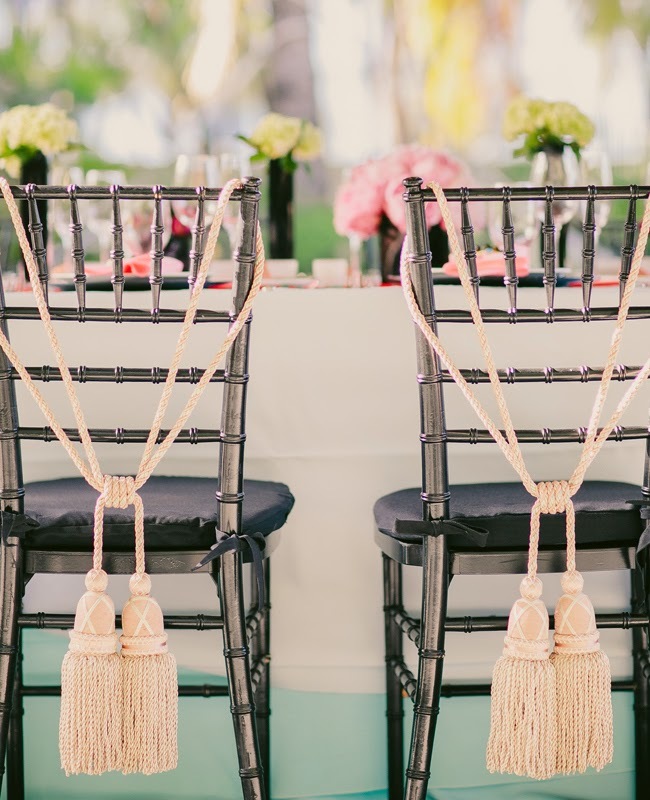 Tie tasseled cords to the backs of your reception chairs. 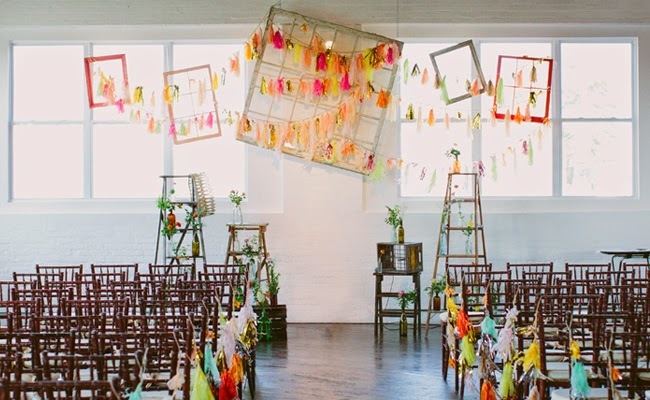 Construct a ceremony backdrop with empty frames and tassel garlands.